Note: Pic is for presentation purpose only, no promotion or copyright infringement intended. Step 3: Insert the content you want in the Qr code, let’s say you want to send your audience to a particular blog’s page, then insert the URL of that specific pages. Step 4: After entering all the details correctly, once check the preview of the Qr code (you can also customize also if you want) Then download the QR code or simple embed where you want. As simple as that, doing all these stuff will hardly take around 2 minutes or maybe 5 minutes at max, You can also analyze the performance of the QR code like How much traffic or visitors are coming one Qr code, are people landing on the page where you want them to be landed, are they even able to scan your QR code? And much more. Only few QR code generators will show you such statistics, so choose wisely before proceeding. 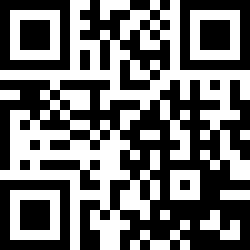 Hope you find the article helpful, don’t forget to share it with your friends who are not able to create a QR code.